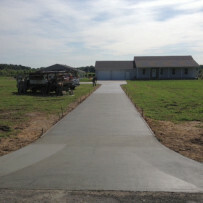 Unless a new home is built in a platted neighborhood that requires a driveway, many home owners overlook a paved drive in favor or crushed stone or other natural surface, seeing it as a luxury. There comes a day however that the hard, smooth surface a concrete drive provides seems like something that should have been there all along. This home in Vicksburg had a small concrete section by the garage. 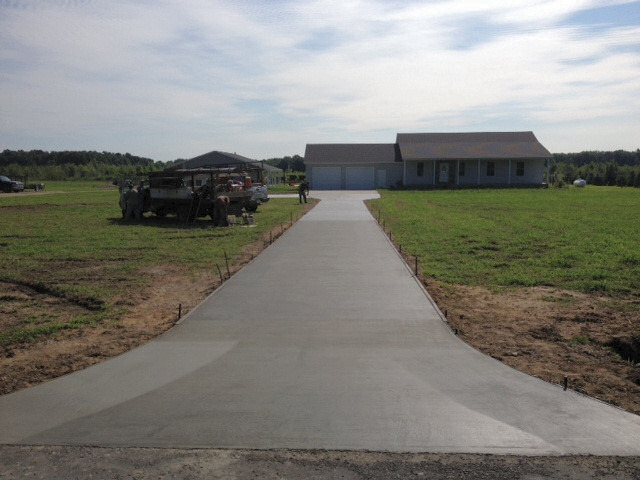 High Country Construction made the driveway complete — out to the road — a 2, 543 square foot concrete pour.